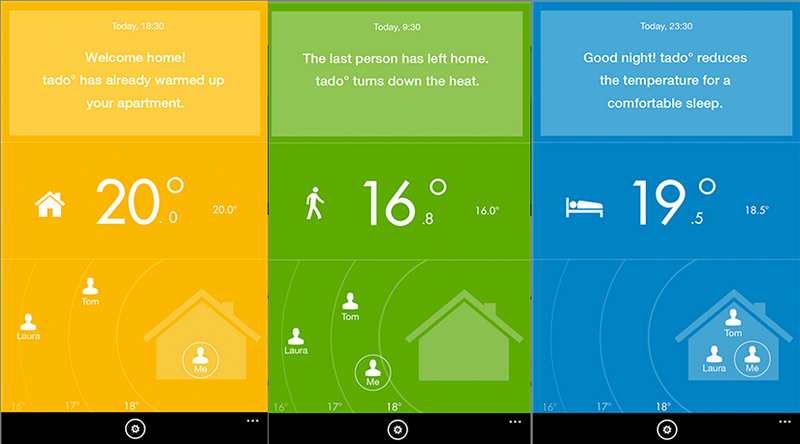 Control and automate almost every device and appliance in your home. 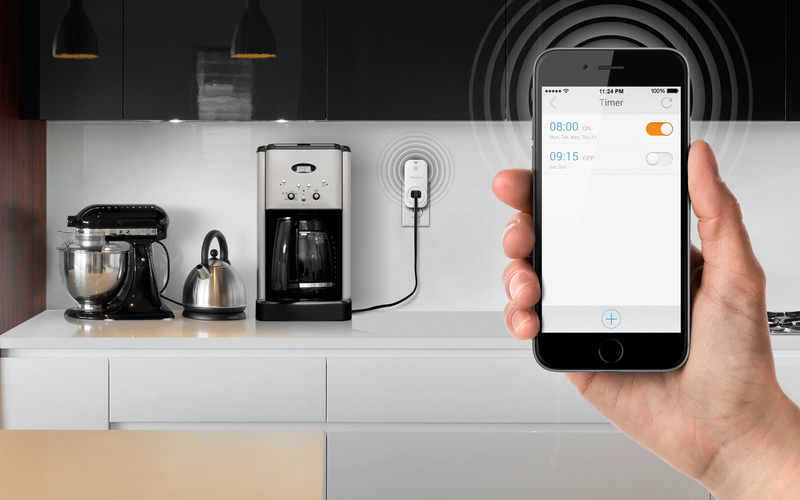 From having the coffee maker turn on at 5:30 am for a fresh brew in the morning to having all the doors in your house lock right from your smartphone, engineered to make you and your home more efficient. Need to give someone access to your home when your not home? 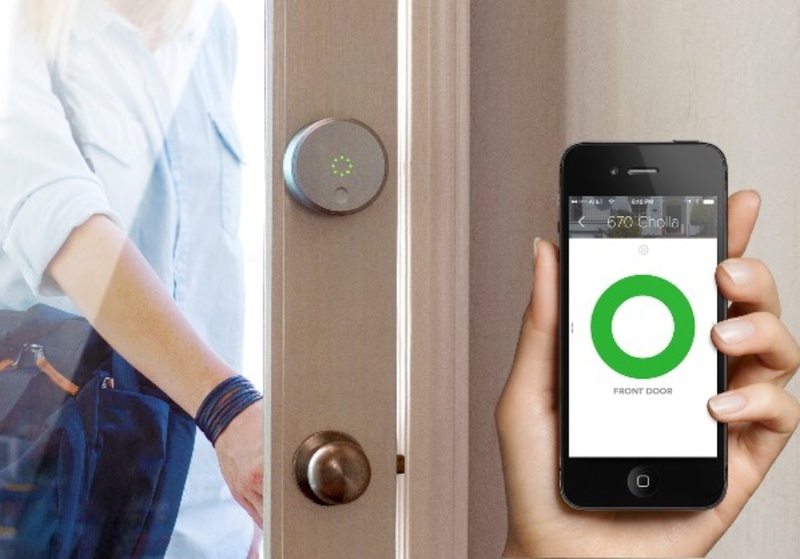 Simply unlock any door from anywhere with a touch from your smartphone. Control one door, or multiple doors. 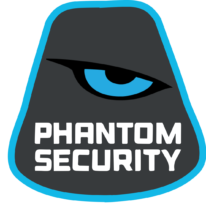 Our solutions are built to maximize efficiency, while maintaining top level security. 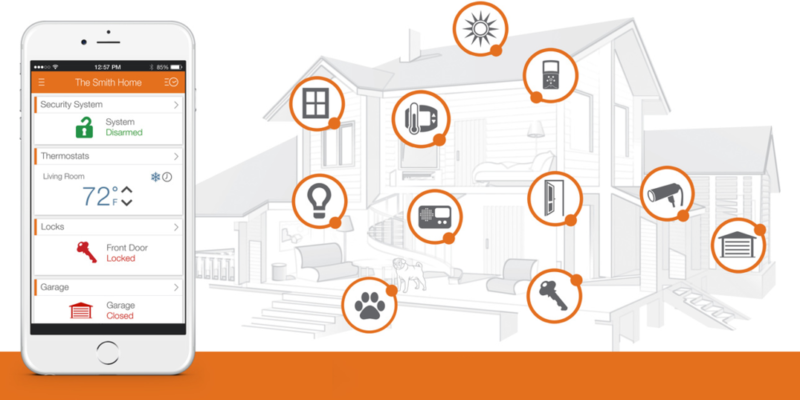 On-guard 24/7, Smart Homes do not sleep. Our professionally installed systems combine all these features and configure them so they work together to efficiently secure and manage your home. 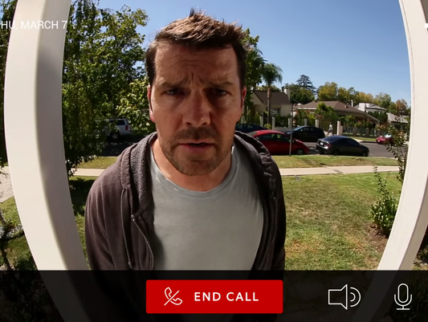 See who's at your front door when someone rings your doorbell. Automatically receive a notification and have a 2-way talk with video from your smartphone from anywhere. When added with smart door locks automatically open the door from your phone once you confirm who's at the door. Let the kids in from school, or open the door for the delivery guy. 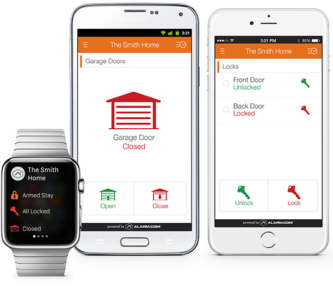 Control any door including garage doors using your smartphone. Know if your door is locked/unlocked. Get a notification if someone opens the door. Set parameters and schedules for different individuals. Want to play music throughout the whole house? Combine your home automation solution with audio. Control the speakers in your home either as a whole or create a multi-speaker zone for music in the house wherever you are. In wall ceiling speakers for the kitchen or bass boosting subs for the theatre room, we install and integrate sound systems for every situation. 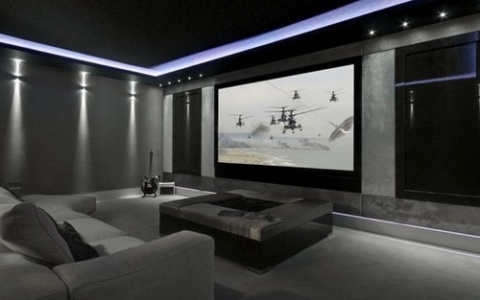 Have multiple TV's in different rooms and want do control them with a single controller? Want to continue the show from the theatre room to the bedroom? 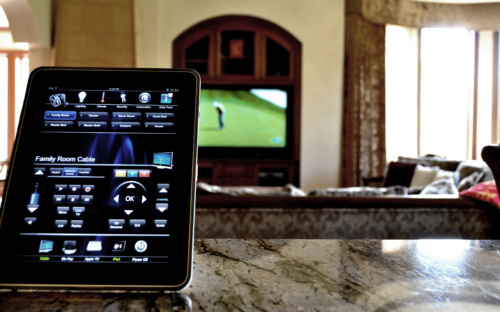 Our home automation solution allows you to control all the TV's and projectors in your home from the Home Automation Touchpad, or your Ipad, tablet, and smartphone. Your Smart Home will adapt and learn to your preferences. Automatically have the lights turn off when your asleep or have the temperature automatically decrease when you leave your home, and simply adjust the temperature with your smartphone or have it automatically adjusted according to weather conditions.